In the centre of HCMC, at the end of Nguyen Hue, sits the magnificent office of the Ho Chi Minh City People's Committee. Completed in 1908 by the French, the former Hotel de Ville's design is based on the Paris original. It remains as one of the most stunning colonial monuments especially when floodlit at night. Make sure to visit the statue of Ho Chi Minh on the /median strip outside. Keep in mind that because Ho Chi Minh City People's Committee is a working government building, the public is not allowed inside. However, don't let that stop you from taking a bazillion photos of the photogenic cream and yellow architecture from outside the building. On the roof is a bell tower placed on a pyramid-shaped podium. 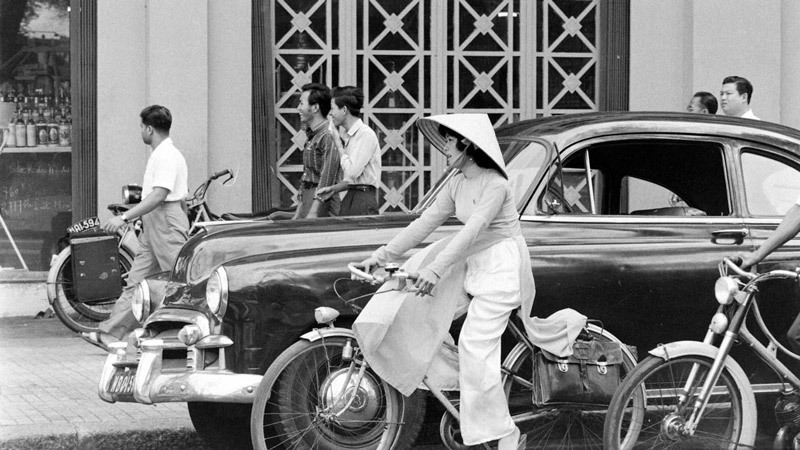 Pose outside the building and snap some memorable shots of one of Saigon's most famous landmarks. Bridges are connecting elements. They bring roads, neighbourhoods and people together by overcoming one main obstacle: water. Since Vietnam is a place full with rivers (overflowed with water during the rainy season), bridges become an essential part in everyday life. The Vietnamese not only use bridges for the sole purpose of getting from point A to point B; isn fact, they serve as a meeting point for a get-together. Now that Saigon’s river banks are getting populated with tall residential buildings, construction workers go under the bridges for their daily lunch (or coffee break). For many, bridges symbolise their get-away spot where they can unwind from the city’s hustle and bustle. The young and the not-so-young spend countless hours fishing by the bridges, waiting to reel in their rod for the catch of the day. Truth be told, it’s more about socialising than fishing in the end. That’s how it works with bridges in Vietnam. If you are curious enough to go wander the endless connecting arches around the city, you will soon realise that their main purpose in life (as if they had one) is bringing communities together. Long life to bridges! 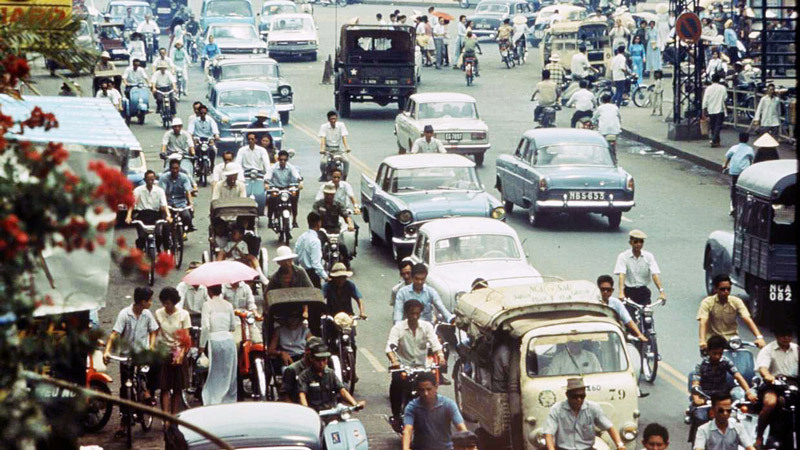 I was born in Saigon and I remember it as a busy, modern and glorious city. I see my growing years in Saigon as memories to be treasured, while also feeling a sense of loss as I see the changes take place. My city is a treasured memory. There were lots of greenery around, from the city centre to my area in District 8, which is approximately 30 minutes away. There was a house next to mine and in between, we had a little river and a pond with fish farms nearby. My grandfather had a little pig farm at his house which is still my favourite place in the world. I enjoyed playing with the piglets, watching them eat, and occasionally showering them. I also remember my brother and I had the same hobby of collecting ladybugs and dragonflies from the pond. Our uncle’s house was just 100 metres away, and we often went there to play with his two boys. He had two giant coconut trees, and raised a lot of chickens and ducks in his backyard. My father’s house was originally in District 10, about a 10 minute ride to the city centre. We often visited our relatives over the weekends and I was always excited to go because I enjoyed the sightseeing. I would say the city was a display of different lifestyles—well-dressed people on expensive scooters and not too many cars at that time. Saigon did have large buildings, but mostly hotels such as Majestic, New World and Caravelle, and including our church. My parents regularly brought us to one of the biggest churches: Cathedral of Our Lady of Perpetual Help in District 3 and what i always seem to remember how people just smelled so good. I saw everyone queue up neatly before and after church, and they would leave feeling happier and at peace. The road was huge and lined with trees and you could smell the freshness of the air, especially along Tran Hung Dao, Nguyen Thi Minh Khai, and Pasteur Streets. There were no bus or train services back then, so people only used scooters to travel, but traffic was never crazy and disorganised. When I was 19 years old, I went to Perth to attend university. I was curious to explore Australia. Compared to cities like Saigon, Sydney or Melbourne, Perth was a rural area and was undergoing development. It wasn’t too crowded although there was public transport like buses and trains and strict traffic rules. Buses were chartered to transfer students between school and home. During the peak period, trains provided extra capacity to serve university students who lived far from the city. There were many big, tall buildings in the city for offices; apartments; convention centers; hotels and many others. I found a full time job after my studies until 2016. 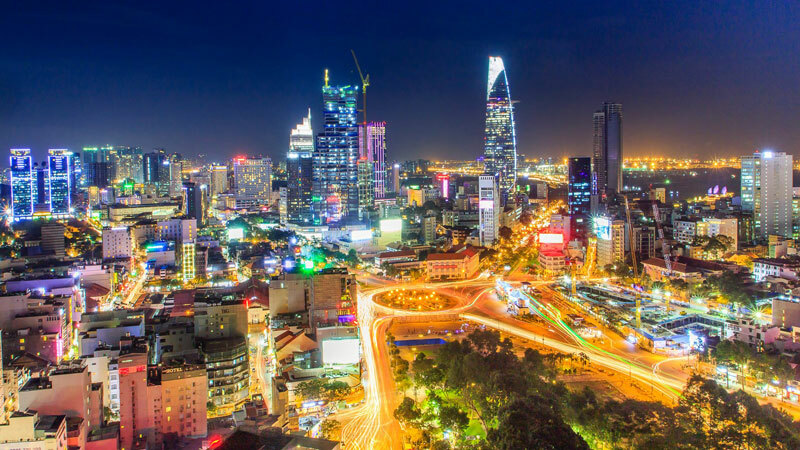 I then decided to return to Vietnam for a break, and to start realising my dream of running a small business, and applying what I have learnt over the years in Australia. Unfortunately, Saigon now is much different than my treasured memories. What I see instead of trees for fresh air and shade, are new houses. The canal was covered without much planning which leaves me puzzled. Fish farms no longer exist, the parks and children’s playgrounds have been replaced by houses and more houses. Public transportation exists, but it’s slightly slow and doesn’t seem to be properly directed. Way too many scooters are being used to carry goods which seem dangerous. People are everywhere and they seem to be rushing unnecessarily. The road is no longer as huge and people do not always obey traffic signs and rules. The image of kindness and public politeness is slowly being lost, replaced by individualistic decisions and selfish actions. Yes there are many new buildings, but not really many attempts to improve Vietnamese’s life. I may feel a little disappointed since I came back, but that does not mean that things cannot get better. The authorities do need to cooperate with each other and take their responsibilities seriously. More huge buildings may be a sign of a developing country, but in that growth, we also need to look at how people’s lives can be improved. I would love to see all the treasures of my city and improve them for the next generation. In this era of technology, people may seem more laidback and less active, especially children. I found it extremely hard to find a park in each community, when I used to be surrounded by a few all over Australia, and in my childhood in Saigon. Public transport needs to be in place, so people can have another choice for transportation. If we have consistent transportation, people will prefer to use those than their own vehicles and traffic congestion may then finally clear. *Oanh is a reader of City Pass Guide and the opinions expressed in this article are entirely hers.